What Is the Anti-Cyclic Citrullinated Peptides (Anti-CCP) Blood Test? What Is the Anti-Cyclic Citrullinated Peptides (Anti-CCP) Blood Test? As you go through the process of getting diagnosed with an autoimmune disease, you’ll be confronted with a slew of tests — most of which you’d probably never heard of before. 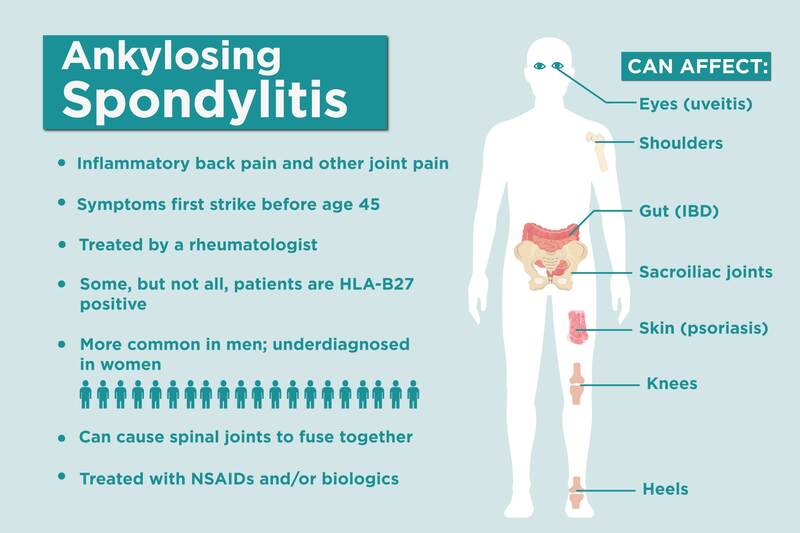 Rheumatoid arthritis and other types of inflammatory, autoimmune arthritis don’t have one specific diagnostic test that can clinch a diagnosis. Instead, doctors have to look at several tests, including bloodwork, imaging, and physical exam, before coming to a diagnosis. Anti-cyclic citrullinated peptides (anti-CCP) are a type of autoantibody: an antibody that works againstyour body’s normal antibodies. Anti-CCP is commonly produced when you have rheumatoid arthritis. These autoantibodies begin targeting and attacking otherwise healthy tissue. What Do the Results of an Anti-CCP Test Mean? An anti-CCP result up to 20 u/mL is considered negative, according to the Hospital for Special Surgery. At 20u/mL and higher, an anti-CCP test is considered positive and, with other symptoms and factors, is usually a sign of rheumatoid arthritis. How Sensitive and Specific Is the Anti-CCP Test? 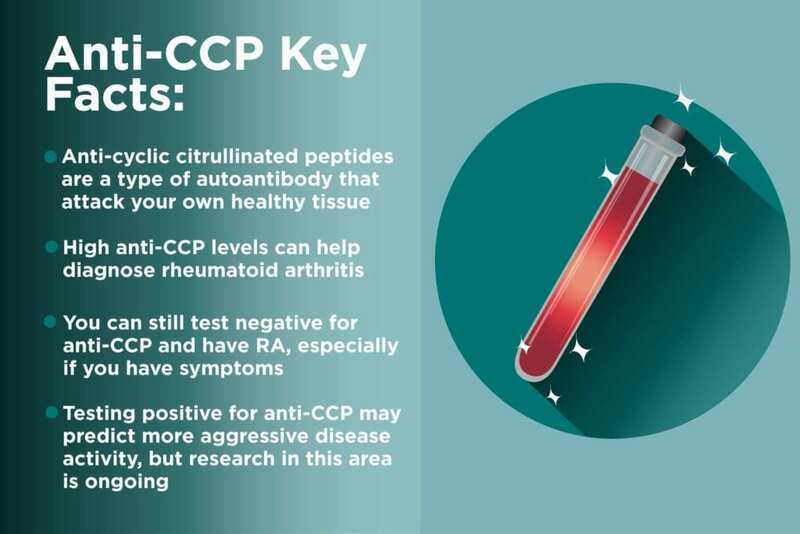 On the other hand, the CCP test is more than 90 percent specific, which means that less than 10 percent of people who test positive do not meet the criteria for rheumatoid arthritis. If you test positive for anti-CCP, it’s a good indication you likely have rheumatoid arthritis. What Diseases Does the Anti-CCP Help Diagnose? As mentioned, anti-CCP is strongly associated with rheumatoid arthritis. Anti-CCP tests are often ordered alongside the rheumatoid factor test — a similar but less specific autoantibody associated with RA. In people with early signs and symptoms of RA, the anti-CCP test may be more useful for doctors in confirming a diagnosis than the rheumatoid factor test, according to an article in the Cleveland Clinic Journal of Medicine. If both anti-CCP and RF tests come back negative, a rheumatologist might still diagnose rheumatoid arthritis based on symptoms and other tests. Those RA patients are considered to be seronegative. Learn more about seronegative arthritis here. What Diseases Does the Anti-CCP Test Help Rule Out? If the anti-CCP test comes back positive, a rheumatologist can likely rule out types of inflammatory arthritis that are considered to be seronegative, such as psoriatic arthritis and ankylosing spondylitis, says Dr. Kaplan. That said, even a positive anti-CCP test isn’t totally conclusive for rheumatoid arthritis. “Even though the anti-CCP is considered fairly specific for rheumatoid arthritis, you can see it sometimes in a small percentage of patients with other types of inflammatory arthritis,” says Dr. Kaplan. Positive anti-CCP results have been seen in patients with lupus and Sjogren’s syndrome, for example. How Do Doctors Use Anti-CCP to Monitor Your Disease? In people who test positive for anti-CCP test but who don’t have any joint pain symptoms, the test result increases the odds that they may develop RA in the future. So your doctor might watch you more closely or start you on treatment sooner than they might have if you didn’t test positive for anti-CCP. Some evidence also suggests that testing positive for anti-CCP antibodies may be predictive of more aggressive disease than people who don’t test positive or who test positive only for rheumatoid factor, though research in this area is ongoing. 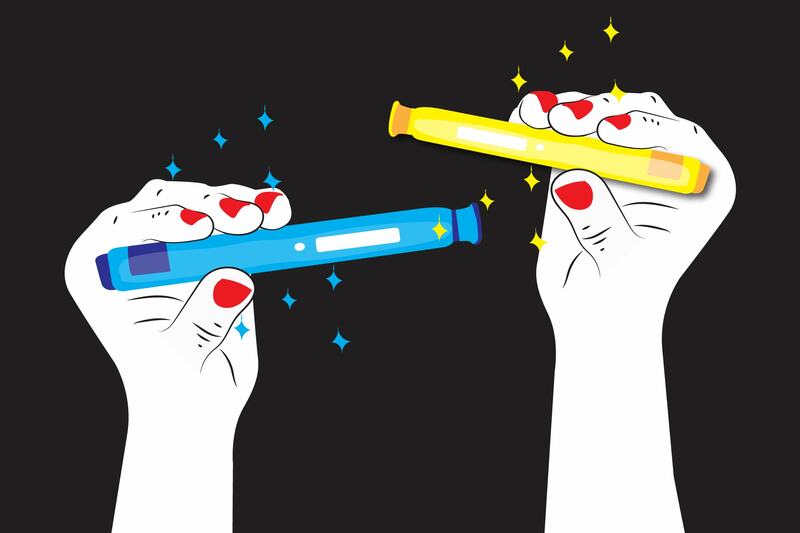 After making a diagnosis and prescribing a treatment, rheumatologists might continue ordering anti-CCP tests to help track your disease activity. A dip in anti-CCP levels tells doctors that the body has slowed down production of those inflammatory autoantibodies, and the patient might have low disease activity or be in remission. Still, whether anti-CCP is a good measure of disease activity varies from patient to patient. “CCP levels don’t necessarily go down or go away, even if the disease is under control,” says Dr. Kaplan. What Is the ESR Bood Test?